March 17, 2013-Joint Base Pearl Harbor. “Sons of Anarchy” Actors visit troops and military families in the Pacific on USO Tour Kim Coates, Mark Boone Junior and Dayton Callie deliver cheer and good times to troops in Guam, Japan and Hawaii. 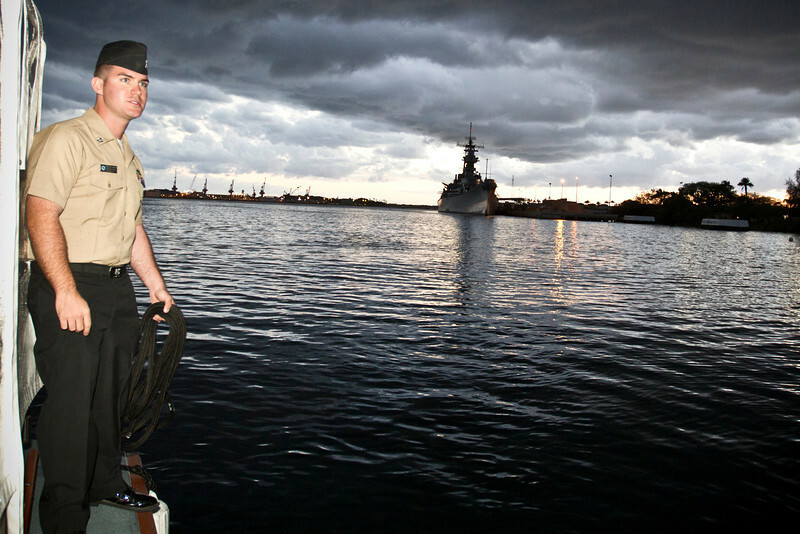 USS Arizona Detachment member, U. S. Navy BM2 James Thompson, Rogers, TX, prepares to dock at the USS Arizona Memorial.